Aren’t the misunderstandings between Sinhala Buddhists and Muslims artificially created? I appreciate and endorse Dr Ranga Kalanasooriya’s views in his March 1, 2016 column in the Daily Mirror reiterating the need to seek means to create better understanding between Sinhala Buddhists and Muslims. Details of burning issues faced by Muslims provided in my response were aimed at highlighting their current miserable plight to dispel the myth that Muslims float in wealth and do not care for the country. The reality is that, according to a survey by Dr A.M.M.Riyas, only five percent of the Muslim community is well to do while 25 per cent belongs to middle class and the remaining 70 per cent live below poverty line suffering from vicious related health, education and illiteracy problems. This segment remains ignored by successive governments and their own politicians. The need of the hour is to attend to their legitimate grievances, help alleviate their sufferings, give them some hope in life and make them feel part of the system. In this regard it is time that governments take the Muslim community into confidence and provide them with job opportunities from government establishments, armed forces, semi government and other sectors to help solve their socio- economic problems. Abandoned by politicians and their religious body, the All Ceylon Jamiathul Ulema, ACJU, alike the Muslim civil society has come forward to guide and rescue the community. The result was the establishment of National Shoora Council comprising 18 national organisations besides intellectuals and others from different fields. Its chairman is Tariq Mahmud, son of late veteran Muslim politician Dr Badiudin Mahmud. While seeking to ensure harmony between the two communities the NSC has been looking inward to rectify any error on the part of the community. Addressing the second annual general meeting of the NSC at the Moors Islamic Cultural Home ,Lilly Avenue, Colombo-6 on 20 March 2016, its newly elected Vice President and analyst Riza Yehiya said that the “ gloomy situation has created a “ Siege Mentality” within the community .However the NSC has uplifted the spirit and given some direction and hope. He emphasized the need to look inward for self correction measures to reposition the community as integral part of the country in the fast changing socio-political climate. Encouraged by the success of NSC, Muslims in the other areas too formed civil society organizations such as Kandy Forum, Eastern Civil Society, Puttalam Muslim group and numerous other organisations. They are stretching their hands of friendship to Sinhala Buddhists. This is a welcome trend for communal harmony. Meanwhile it is time that mainstream Sinhala Buddhists free themselves from racist elements that dominated the island’s politics from 1930s onwards. For example even today in places of ethnic tension, Sinhala Buddhists and Muslims live in harmony. 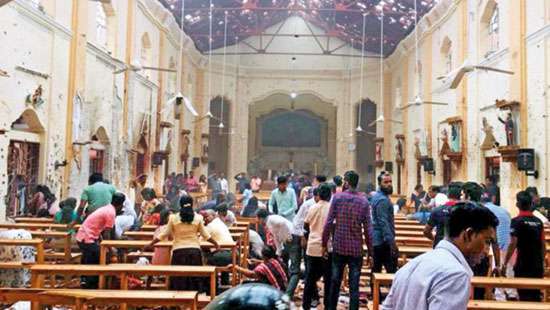 For example according to a research by Secretariat for Muslims, people in and around Devanagala in Mawanella and Kuragala, Daftar Jailani, in Balangoda have no problem. Buddhist monks in these two places maintain healthy relations and peace. They are respected by both communities. However it was outside nationalist organizations such as BBS, Ravana Balakaya and Sihala Ravaya who create unnecessary controversies, build up ethnic tension and pit the two communities against each other. Unless these destructive forces, hell bent on annihilating Muslims, are tamed it is unlikely that the country could enjoy peace or move ahead. Therefore isn’t it time for mainstream Sinhala Buddhists who failed to produce a national leader who could think for the whole country, to study the disastrous impact of racism on them and seek means to rectify the damage. These racists groups are new phenomena. The question is who are they and from where do they emerge? Why state patronage for their hooliganism? 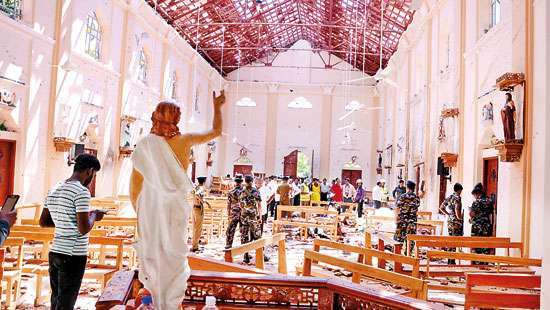 Who is financing them and why this hostility and violent organized attacks on Muslims which will not help the Sinhala Buddhists in any way? Instead had caused considerable damage to its image. To cite an example I was in Islamabad to address a two-day conference on the $ 46 billion China-Pakistan economic corridor and the growing rivalry in the Indian Ocean” on 14 and 15 March 2016. The first question posed to me by a professor from one of Islamabad universities was about attacks on the island’s Muslims by Bodu Bala Sena. “Sinhala Buddhists were known for their friendly, peaceful, hospitable and tolerant nature. So how come racist outfits such as Bodu Bala Sena were given a free hand to attack Muslims in the name of Buddhism?” he asked. 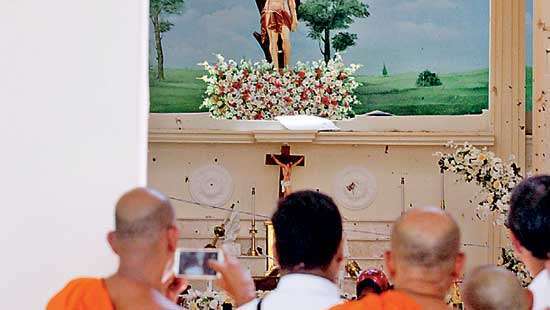 I was shocked at the damage caused to the image of Sinhala Buddhists. I explained that there is hardly a problem between Sinhala and Muslims. Bodu Bala Sena, BBS, emerged during the defeated President Mahinda Rajapaksa regime which gave them state patronage and a free hand to persecute Muslims for reasons better known to it. They were only few hundreds and rejected by the Sinhala in the last parliamentary elections in August 2015. Some also suspect that these groups were funded by powerful foreign forces that have declared global war on Islam and Muslims. Over the years today Sri Lanka, once a fiercely independent country and respected in all third world forums, has become a playground for destructive international forces .In this regard the two communities need to be vigilant of the increasing presence of Israel, godfather of terrorism in the Middle East and the West and kicked out from the island time and again and whose declared global agenda has been to use mercenaries worldwide against Muslims. Most Sri Lankans including politicians, journalists, intellectuals and others do not know the real face of Israelis, their crime records and their role in the global war against Muslims .Together with them there are others with their own agendas to destabilize the country. However these racists failed to realise that Muslim countries worldwide remain the best and sincere friends of Sri Lanka and the Sinhala Buddhists without any hidden agendas. This is the reason why I feel that it is time that the mainstream Sinhala Buddhists who understand the reality that this is a multi-racial, multi-religious, multi-lingual and multi- cultural country where all could live with tolerance and understanding, wake up and save the image of the community and the country . It is a fact that due to various factors the two communities got divided during the past few decades. This was aggravated by the communication gap which was exploited by racists to suit their agendas. This communication gap needs to be narrowed and the media could play a decisive role. The Muslim community in general admires Buddhist monks who emphasise the need for all to live in harmony. This is where Muslims admire monks such as Ven Dambara Amila Thero who rightly said that some Sinhala think that “the world is inside Sri Lanka and Sri Lanka is not part of the world”. Time and again Muslims have expressed their readiness to walk an extra mile to ensure harmony between the two communities. In short, as I have stated time and again, this beautiful island was a shining example during independence in 1948 for emerging third world countries in Asia, Africa and Latin America for its political and economic stability, communal harmony, and enviable high literacy, politicians of integrity and intellect and on top of all peaceful political and social environment. Sixty-eight years later today where are we? System has virtually collapsed. The country is plagued with racist and corrupt politics, political, economic and social instability, shamelessly depending on foreign loans to run the economy despite abundant natural resources, militarised society and communities living poles apart. Who is responsible? Our politicians from all shades of opinion and all communities. Under such circumstance isn’t it time for civil society in the Sinhala Buddhist community to take the helm into their hands to decide their own destiny. It is no easy task in view of the magnitude of the mess. However as, in keeping with the age old Chinese adage that a one thousand mile journey begins with a step, it is time for the civil society in the Sinhala Buddhists to take the initiative even on a small scale. On the part of Muslims this has already begun. This perhaps, may be the only way to free the country, at least in the long run, from the communalised, criminalised and commercialised political culture and ensure a better future for all. In this regard the two communities should be grateful to Dr Ranga Kalansooriya for breaking the ice and removing the psychological barrier with his appeal for such moves.